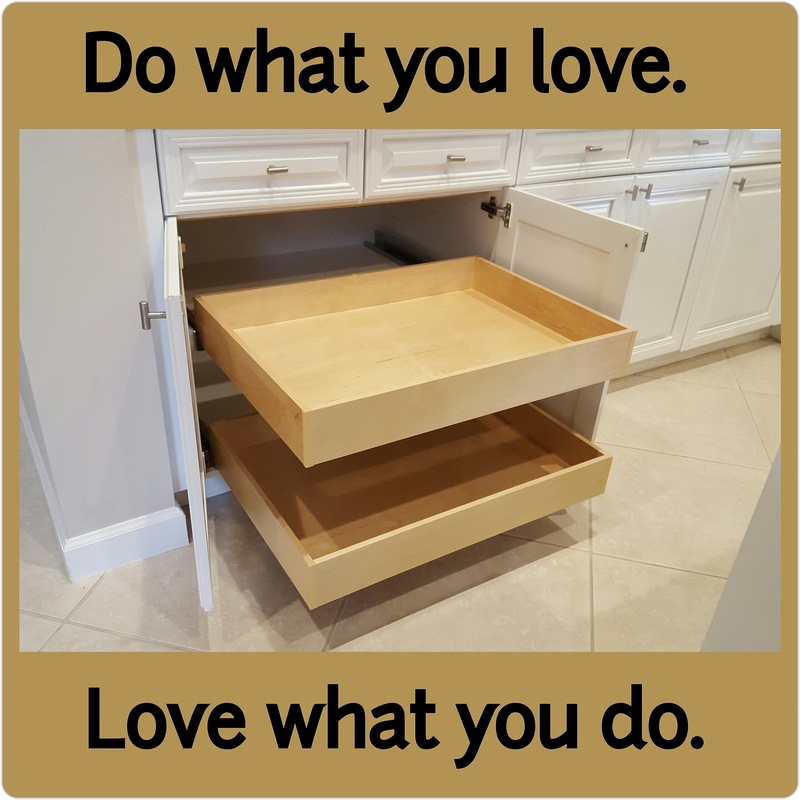 Are you searching for high-quality custom Roll Out Cabinet Drawers or pull out shelves custom made right here in Palm Beach County? Then you’ve found the right team! With more than 14 years of experience serving the community, we are proud to deliver organization and value without sacrificing product quality in all of our custom pull out drawers and shelving projects. 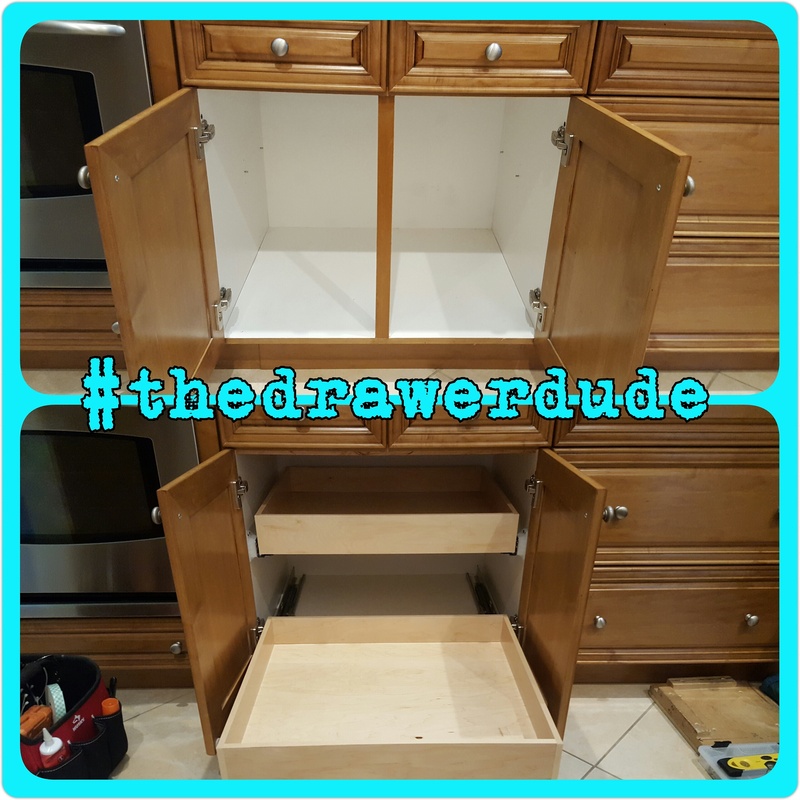 The Drawer Dude specializes in building custom storage cabinets, custom roll-out drawers, custom kitchen cabinets, and creating custom storage ideas. 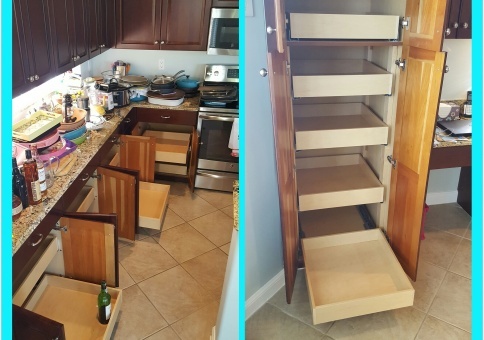 We can customize your storage solutions by building pull-out shelves, slide out shelves, and roll-out custom kitchen cabinets that will provide you with more space and organization. Contact us now to schedule a no-obligation, in-home assessment. 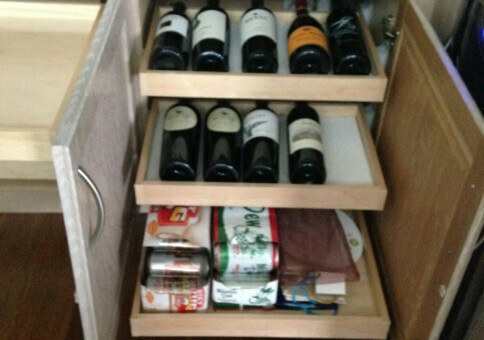 Let us demonstrate our drawers and share our knowledge of the best way to maximize your space while saving you money. 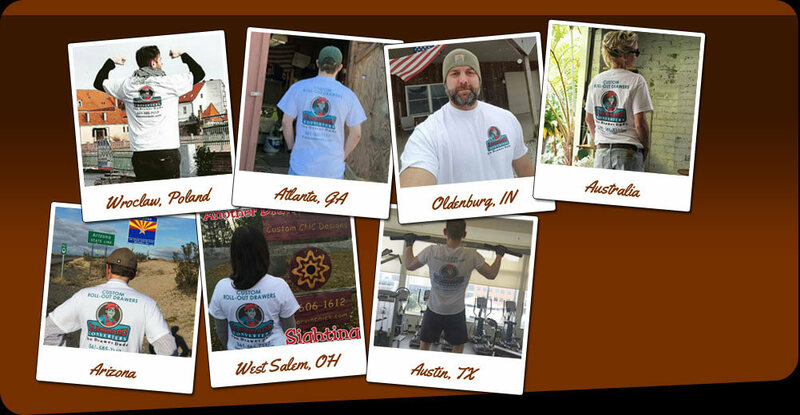 We love what we do and are certain you will, too. Call the Drawer Dude, because he’s ready to roll! 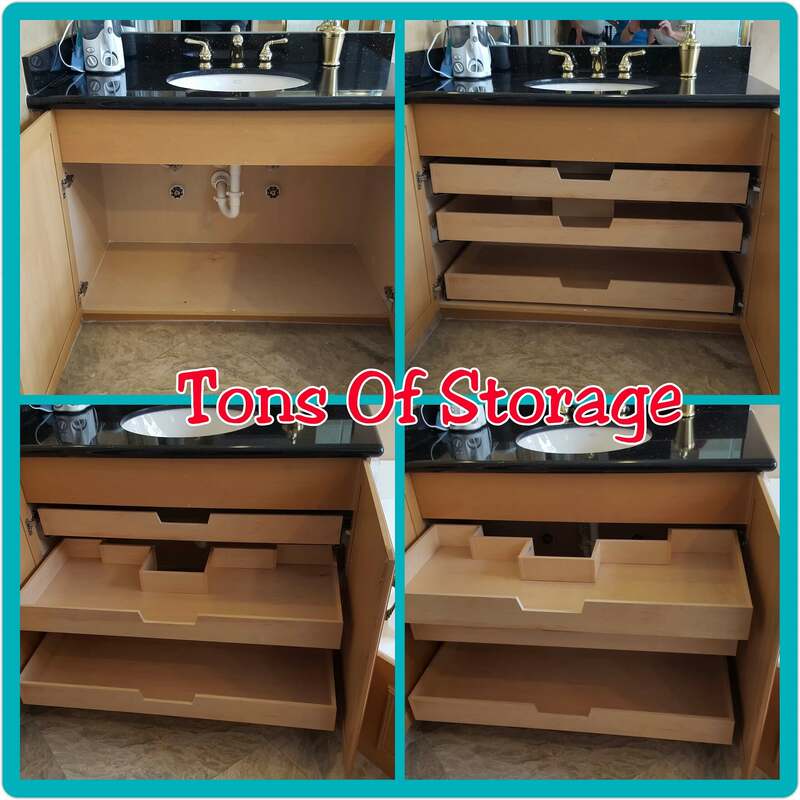 For clients in Palm Beach County looking for storage solutions, we provide services for Kitchen Cabinets, Bathroom Cabinets, and Bedroom Cabinets. Our custom Pull Out Shelves and Roll-Out Cabinet Drawers are the perfect storage solution! We assess the entirety of the situation including your needs and organization ideas. 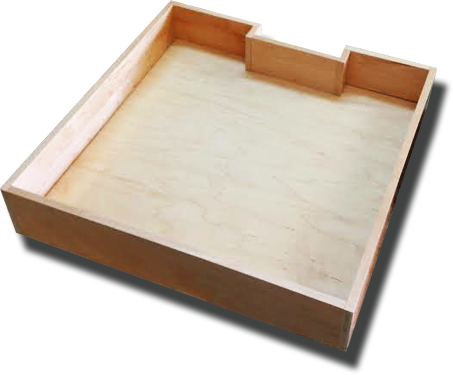 This way, we create custom roll-out cabinet drawers and shelves to fit your existing cabinets. 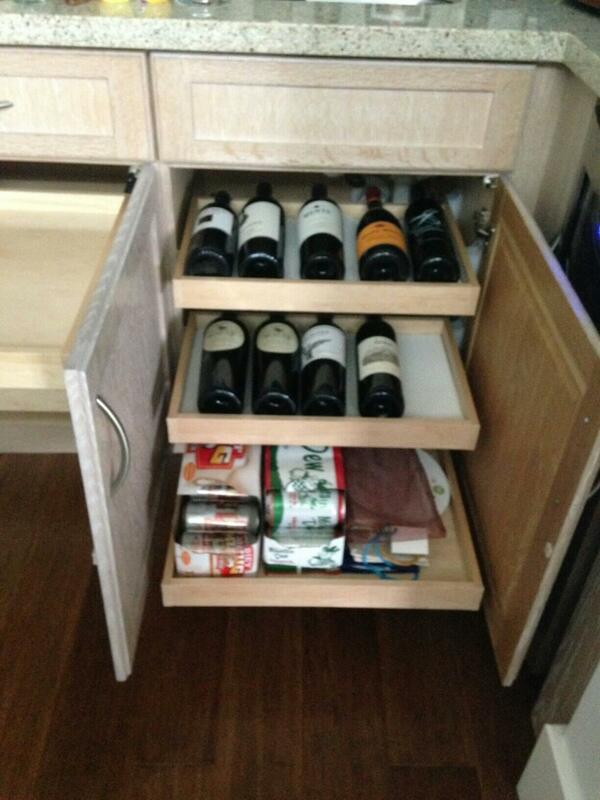 Custom Pull Out Shelves and Roll Out Cabinet Drawers allow you to store more in your cabinets. Giving you the freedom to neatly organizing the contents in a space-saving setup. Easily match your custom pull out shelves and drawers to your existing cabinets. Look great while saving space. 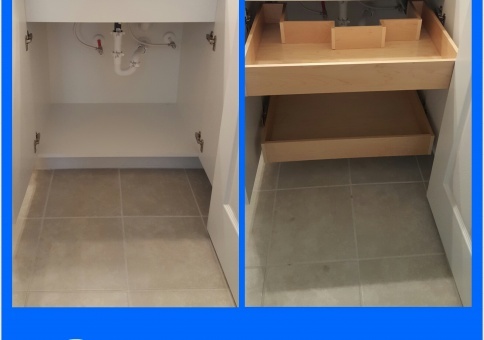 From wooden storage drawers to an under sink pull out drawer. 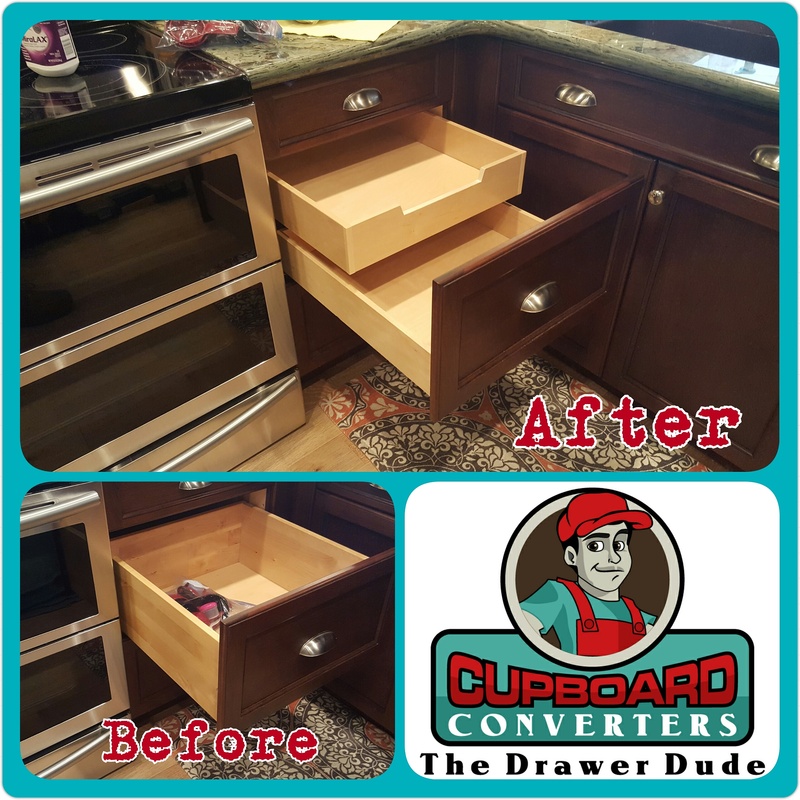 Nothing is impossible when working with Cupboard Converters. Are you looking to spruce up your kitchen cabinets? 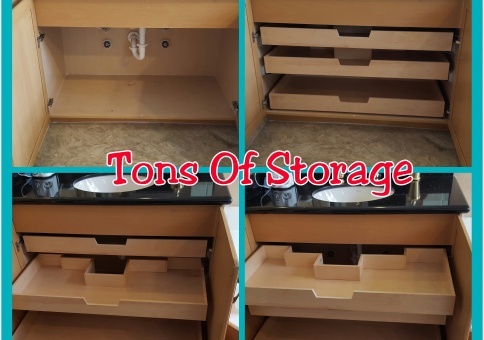 Do you feel like you just do not have enough space to store all the items you need to store? Are you contemplating adding more kitchen cabinets in your kitchen? That route can be extremely expensive. Cut costs while increasing space by improving what you already. 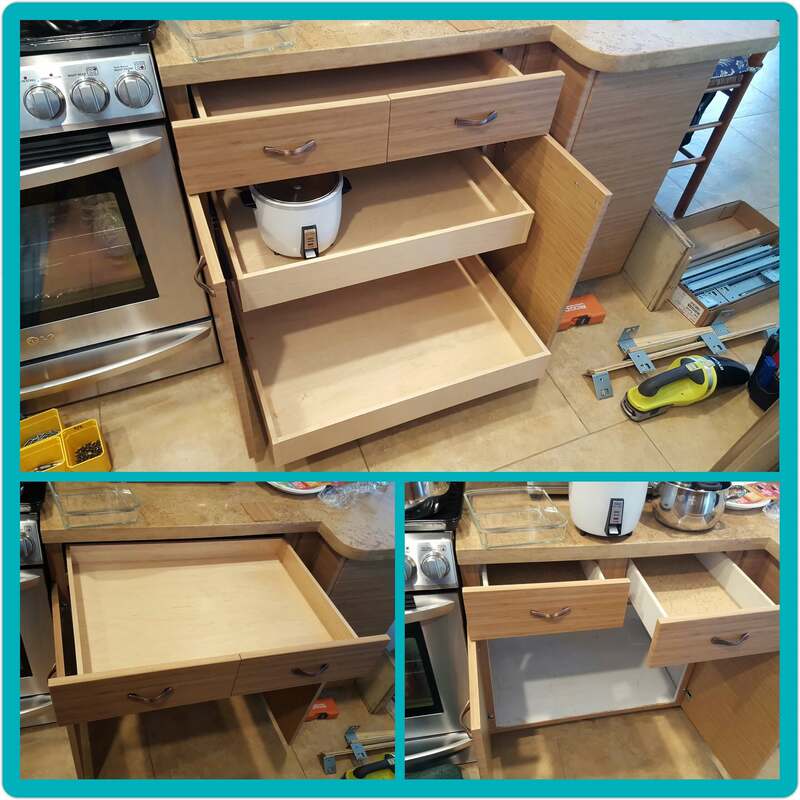 All you need to do is add our pull out shelves to your custom kitchen cabinets. Completely change your home up by creating extra space you never knew you had. Let Cupboard Converters be the answer to all your problems for minimum storage space. 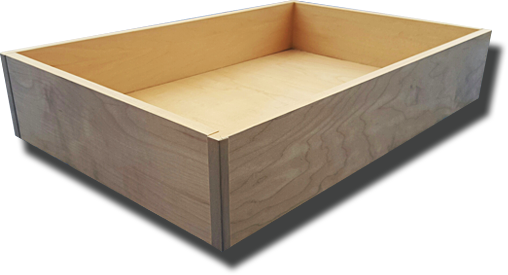 With our custom roll-out cabinet drawers, you will be able to fit more items in your existing storage cabinets. Making your cabinets now custom kitchen cabinets. A great alternative to spending tons on adding more kitchen cabinets. 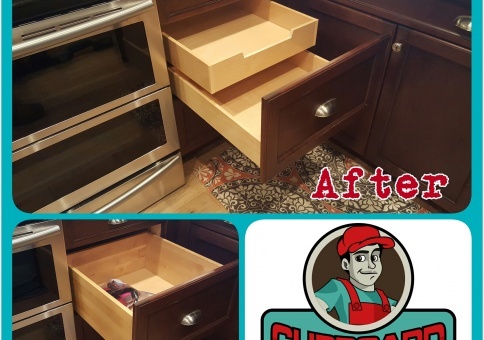 Transform traditional cabinets with minimal storage with trendy wooden storage drawers. 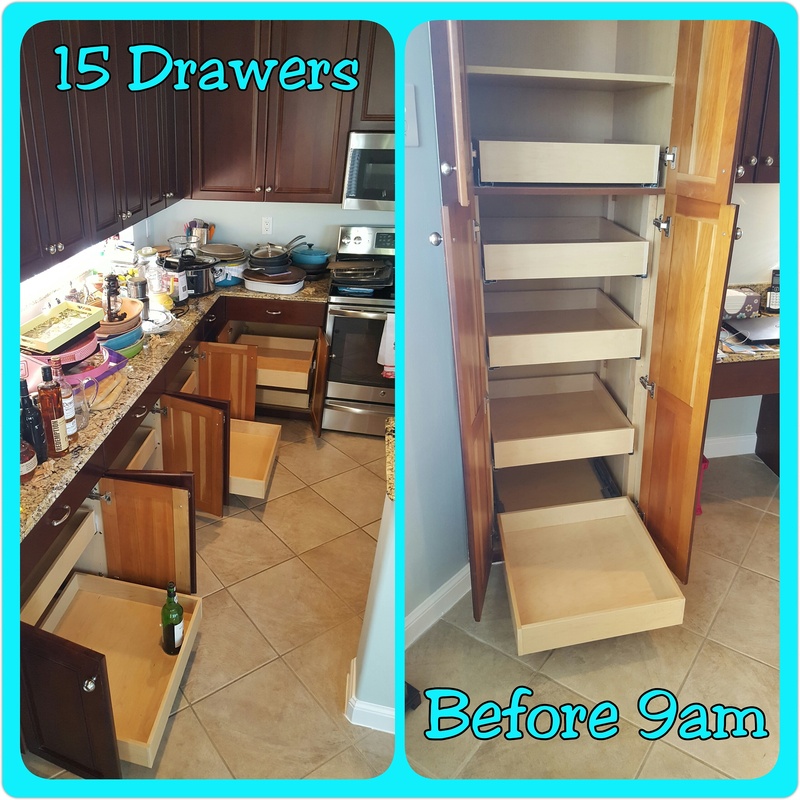 Or add unique pull out drawers for optimal storage! 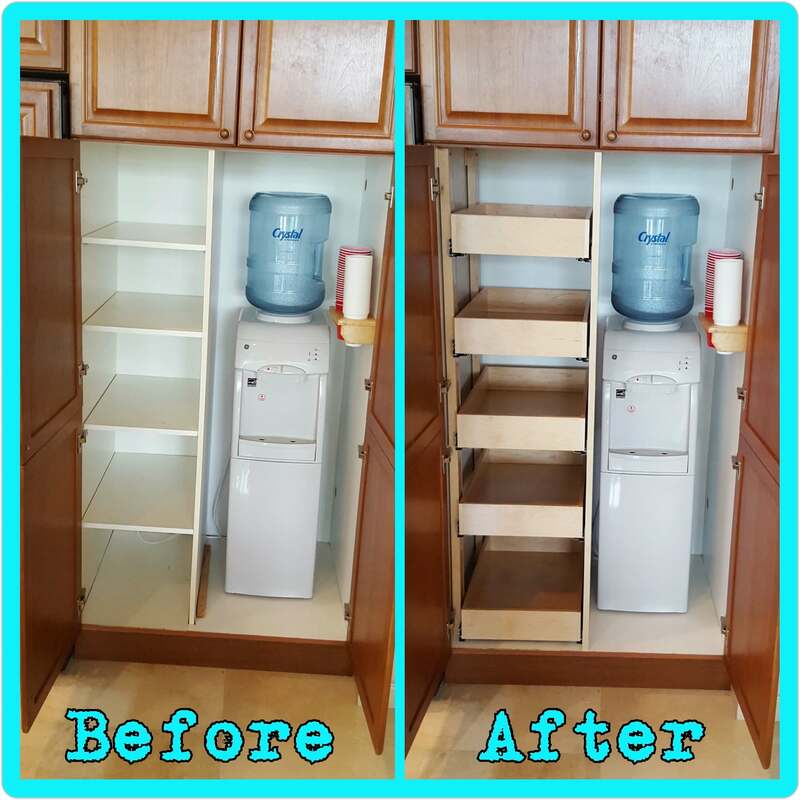 Talk to one of our experts about custom pull out shelves today by calling 561-313-7275. 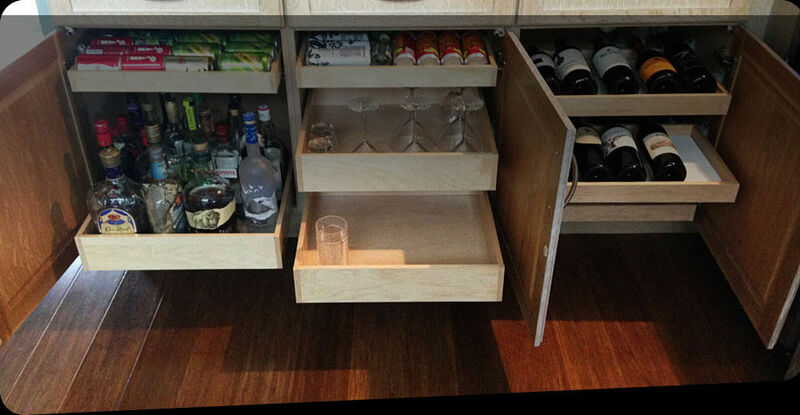 Slide Out Shelves provide convenience to any room or custom cabinet. The true beauty is the space saving options it Sliding Shelves give you. 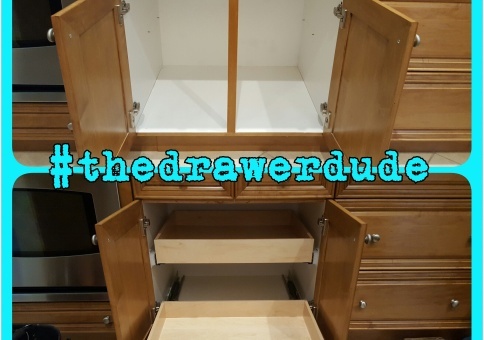 Do you ever feel like you have to move your kitchen items to other cabinets in your home? Do items not fit in the immediate cabinets in your kitchen? Slide Out Shelves for your cabinets is essential. This can also save you cost in other rooms by eliminating the need to buy additional storage options. Are you looking to save space in your bathroom? 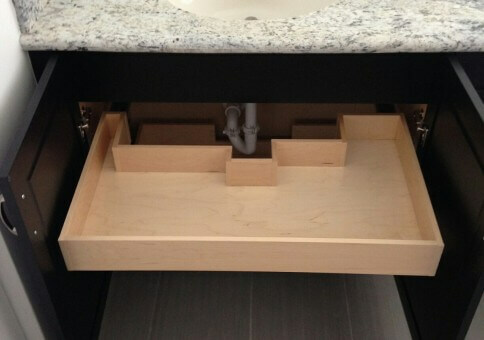 Adding a custom under sink pull out drawer can be an excellent space saver for your bathroom. Easily fit bathing supplies like extra towels, toothpaste or anything you desire. 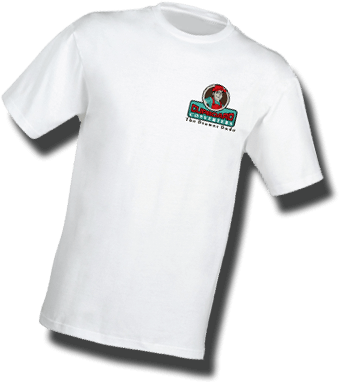 Cupboard Converters works with many residents and businesses throughout Palm Beach County. 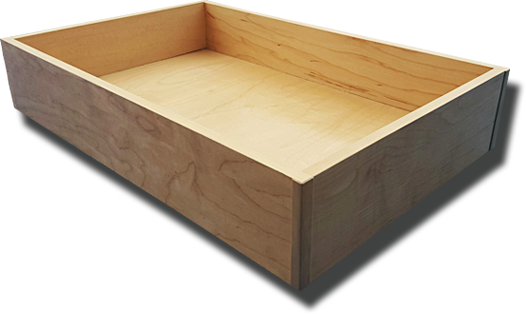 Offering exquisite custom pull out shelves and roll out drawer devices. We handle every aspect of the installation. 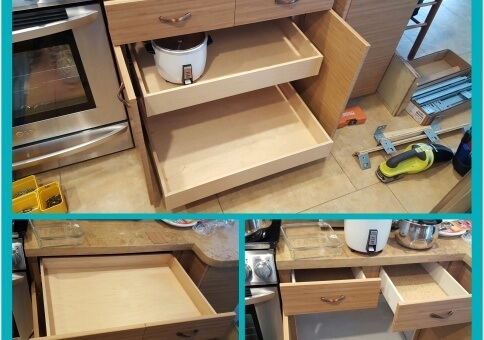 Need Pull Out Shelves in your kitchen? We Got You Covered. 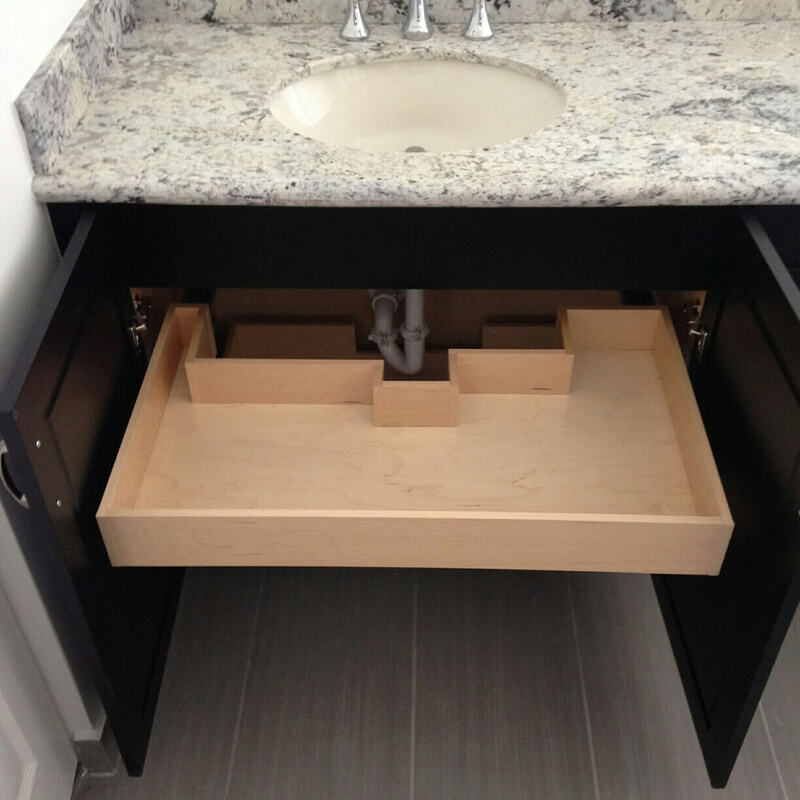 Need Roll-Out Cabinet Drawers installed in your bathroom? We Got You Covered. Store away outdoor patio and deck supplies including grilling and pool items. Get the most use out of the space you have. Benefit almost any area of your home or business with our Pull Out Shelves. From slide-out storage drawers to shelves. 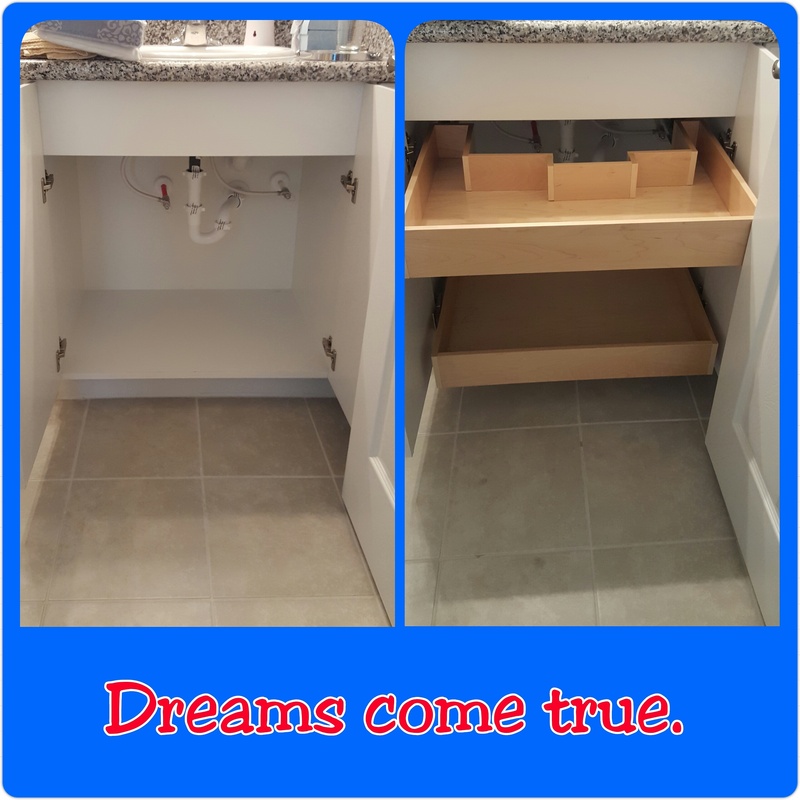 From under sink pull out drawer options to closet ideas and shelves that slide. 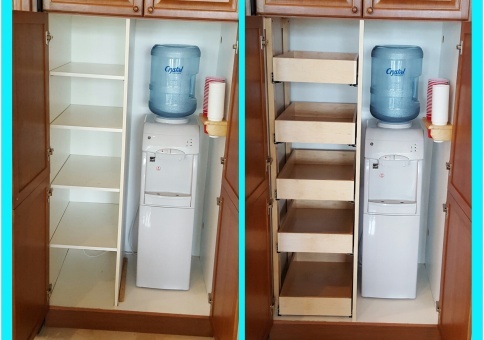 Cupboard Converters is sure to impress when we create a unique space that you can use to store your goods. 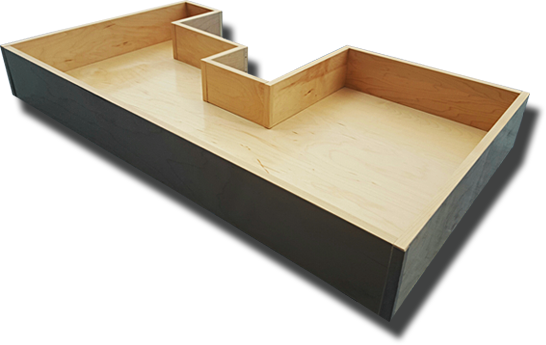 Our custom pull out drawers provide organization as well as additional storage space. Save you money by preventing an unnecessary renovation for extra space! 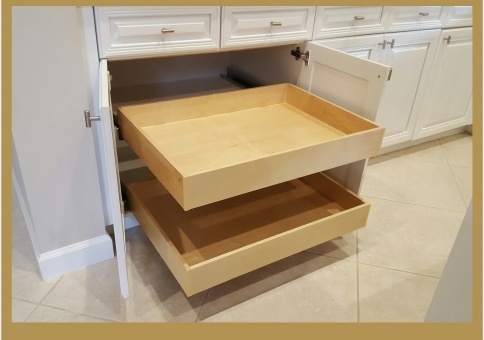 Let us help you make your home extra special with our custom roll out drawers in West Palm Beach. We also service Delray Beach, Boynton Beach, Lake Worth, North Palm Beach, Lantana, and all throughout Palm Beach County!